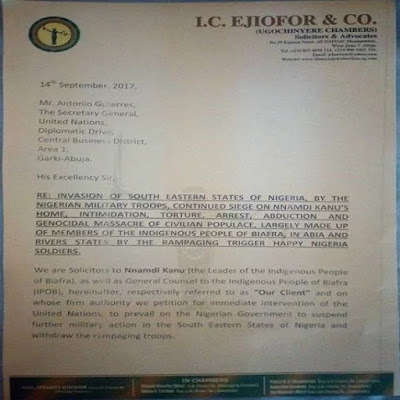 The leader of the Indigenous People of Biafra (IPOB) Nnamdi Kanu has petitioned the European Union on the ongoing military operation in south east region of Nigeria. 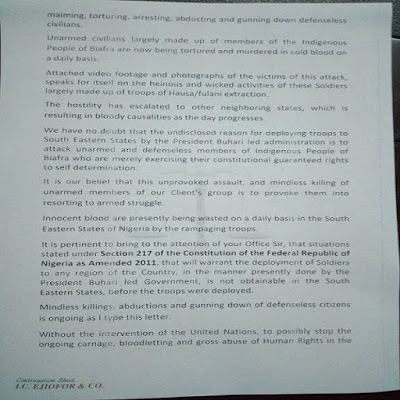 The IPOB leader in the petitioned dated September 14, accused the Nigerian military of intimidation, torture, arrest, abduction and killing of civilian populace in the southeast. Other countries include; the United Kingdom and France. He urged the comity of nations to prevail on the Nigerian government to suspend further military action in the south eastern states of the country and withdraw ‘the rampaging troops’ from the region. Also attaching video and photographs of victims of the alleged attack, Kanu said the hostility against the IPOB members has escalated to other neigbouring states resulting in bloody casualties. He added that while innocent bloood are being wasted in the region, the 1999 Constitution as amended did not allow the deployment of soldiers in the region in a manner presently done by the federal government. Kanu noted that without the intervention of the comity of nations, the killings and torture would continue. “The situation in the south east of Nigeria is serious and demand your urgent action Sir. 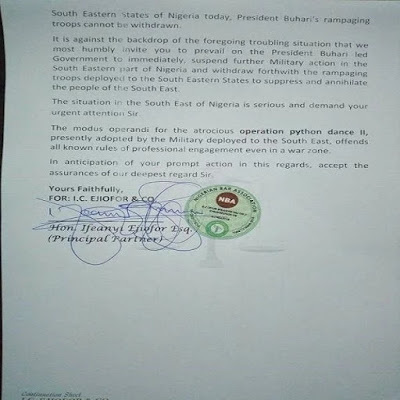 “The modus operandi of the Operation Python Dance II presently adopted by the military deployed in the south east offends all known rules of professional engagement even in a war zone,” Kanu added.